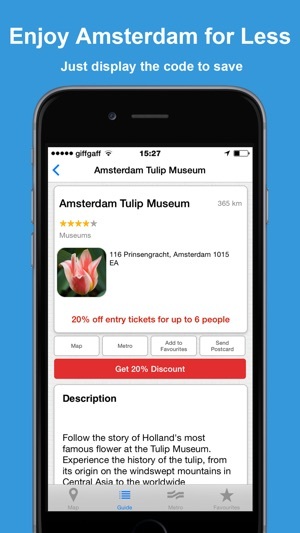 An offline travel guide for Amsterdam tourists with offline street map with GPS positioning and interactive metro map and points on interests. 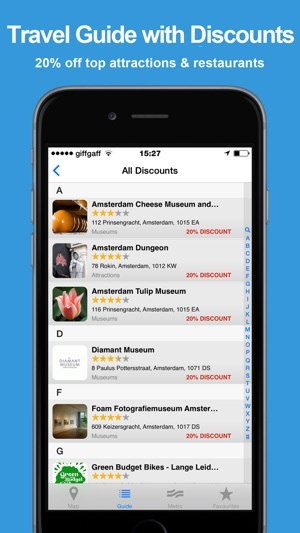 Discounts and coupons for top attractions in Amsterdam. You could save up to €50 per day. No data roaming charges. Available in English, French, German, Italian and Spanish! 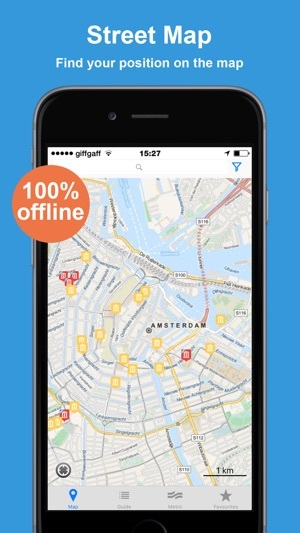 • 100% offline: Avoid data roaming charges with offline Amsterdam street map, Metro map, travel guide listings, and discounts. No need for Wifi or Internet access. 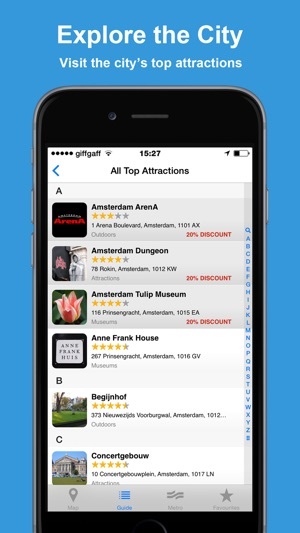 • Amsterdam Street Map: Search and find streets, places, museums and attractions nearest to you or anywhere in Amsterdam with GPS. 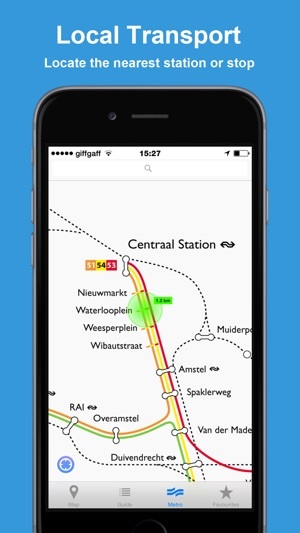 • Amsterdam Metro Map: Complete, offline official Transport for Amsterdam Metro map. Search and find any stop. Find the stop closest to you. Find the stops closest to any attraction or other point of interest. • The Guide: Compact guide with information on the most popular Amsterdam attractions, tours, museums and galleries, such as the Amsterdam Dungeon, Amsterdam ArenA, Diamant Museum, Amsterdam Tulip Museum, Touristbus, World of Ajax Tour, and many other points of interest. • Attractions: Amsterdam Dungeon, Amsterdam ArenA, Diamant Museum, Amsterdam Tulip Museum and many more. • Tours: Touristbus, World of Ajax Tour and more. Well worth using, very useful around the city !